Overview of the project, its contents, and how to get started with a simple template. Before downloading, be sure to have a code editor (we recommend Sublime Text 2) and some working knowledge of HTML and CSS. We won't walk through the source files here, but they are available for download. We'll focus on getting started with the compiled Bootstrap files. Fastest way to get started: get the compiled and minified versions of our CSS, JS, and images. No docs or original source files. Within the download you'll find the following file structure and contents, logically grouping common assets and providing both compiled and minified variations. This is the most basic form of Bootstrap: compiled files for quick drop-in usage in nearly any web project. We provide compiled CSS and JS (bootstrap. *), as well as compiled and minified CSS and JS (bootstrap.min.*). The image files are compressed using ImageOptim, a Mac app for compressing PNGs. Bootstrap comes equipped with HTML, CSS, and JS for all sorts of things, but they can be summarized with a handful of categories visible at the top of the Bootstrap documentation. 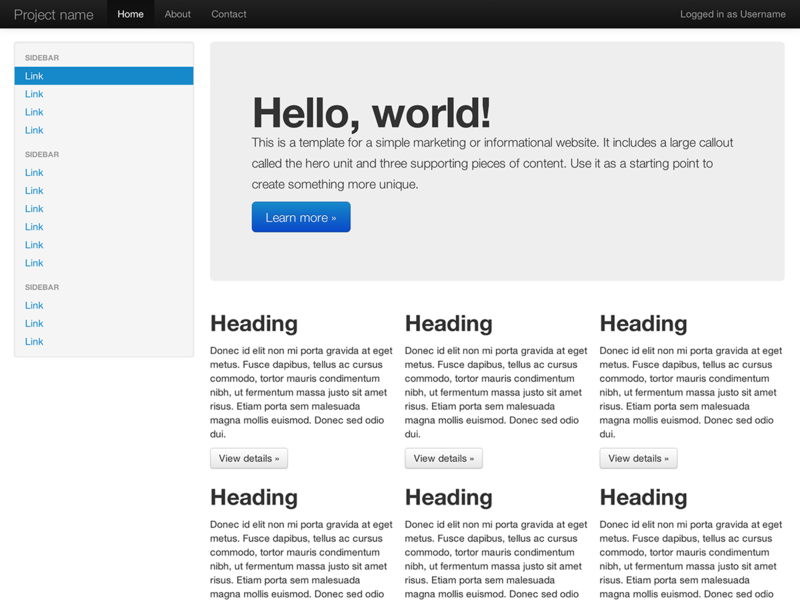 Global styles for the body to reset type and background, link styles, grid system, and two simple layouts. Styles for common HTML elements like typography, code, tables, forms, and buttons. Also includes Glyphicons, a great little icon set. Basic styles for common interface components like tabs and pills, navbar, alerts, page headers, and more. In future guides, we may walk through these components individually in more detail. Until then, look for each of these in the documentation for information on how to utilize and customize them. 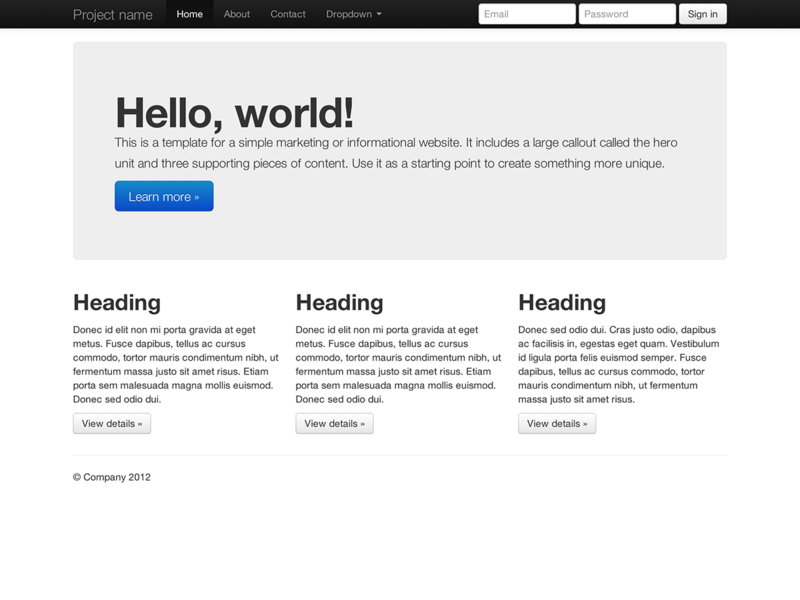 With a brief intro into the contents out of the way, we can focus on putting Bootstrap to use. 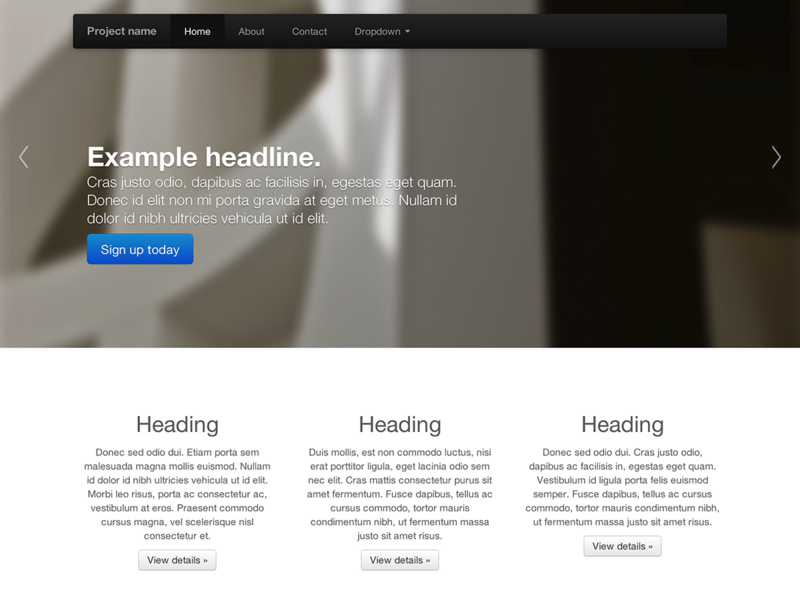 To do that, we'll utilize a basic HTML template that includes everything we mentioned in the File structure. And you're set! 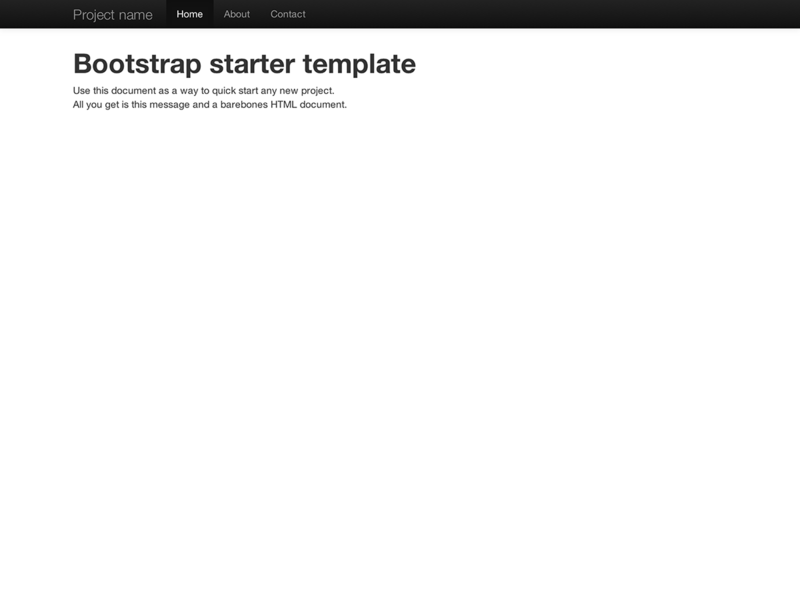 With those two files added, you can begin to develop any site or application with Bootstrap. 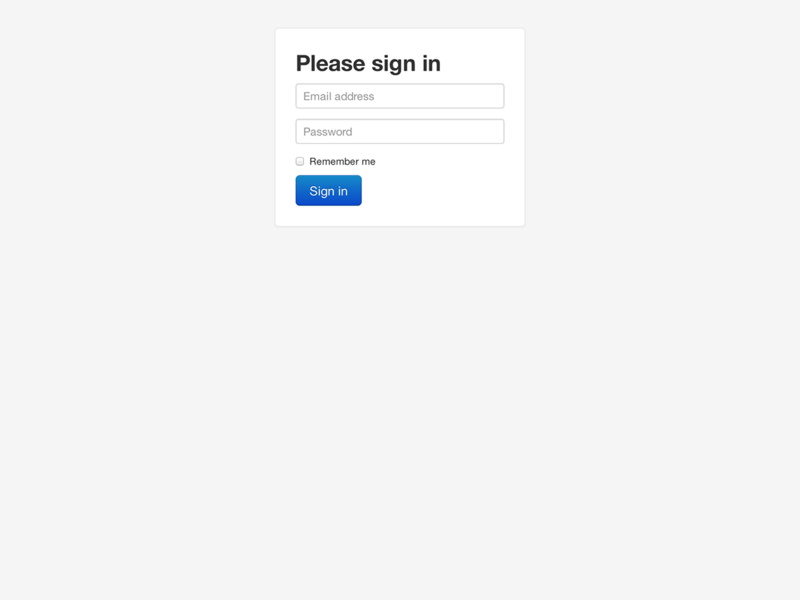 Move beyond the base template with a few example layouts. We encourage folks to iterate on these examples and not simply use them as an end result. 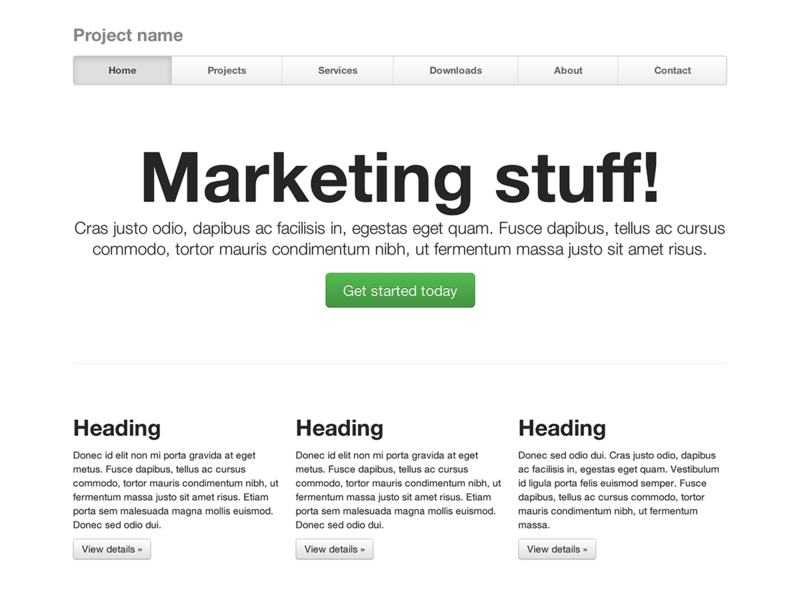 Slim, lightweight marketing template for small projects or teams. 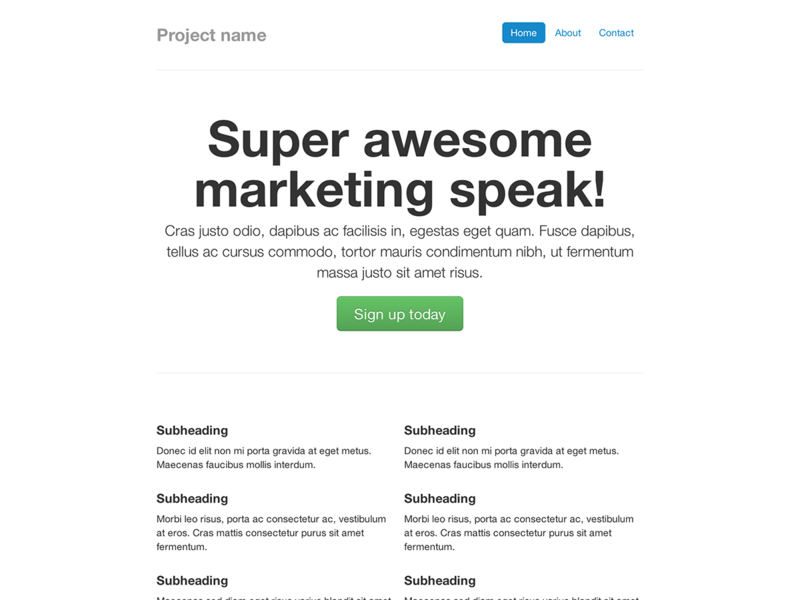 Marketing page with equal-width navigation links in a modified navbar. Barebones sign in form with custom, larger form controls and a flexible layout. 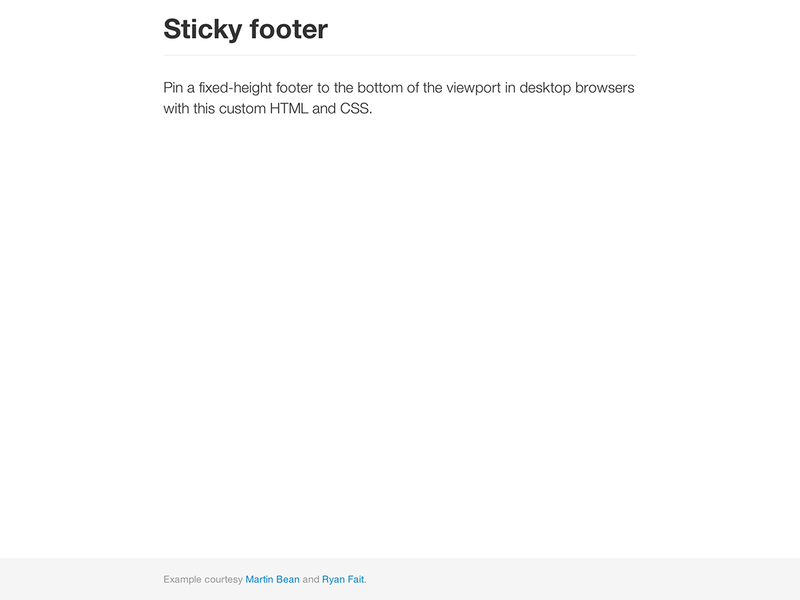 Pin a fixed-height footer to the bottom of the user's viewport. A more interactive riff on the basic marketing site featuring a prominent carousel. Head to the docs for information, examples, and code snippets, or take the next leap and customize Bootstrap for any upcoming project.